When my great auntie was alive, she loved any lemon flavored foodie item. Seriously, lemon cakes, pies, muffins, tortes, cupcakes or any other type of lemon dessert was on her favorite's list! Every time we attended a family party or other family event at her home...we could always count on a good old-fashioned lemon dessert to be on the menu. Now that's she gone and no longer with us...I've been craving some of her favorite desserts. Just last week I received this guest post recipe and it totally reminded me of her! This recipe is courtesy of Gaea. You can visit their site to learn more about their olive oil products and to pick up additional recipes. Preheat oven to 375 degrees and grease the pan. In a medium bowl mix the flour, sea salt, baking powder and pine nuts. Next, mix the lemon zest into the sugar cane. In a separate bowl mix the zesty sugar cane with 3 eggs for about 2 minutes, then add the lemon juice, Greek yogurt and Gaea olive oil. Combine both bowls and pour the batter into the cake pan. Bake for 30-35 minutes. I would love to try this recipe. I wonder how much the rye flour taste will be apparent in the cake. 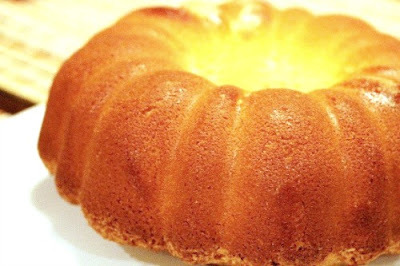 I have been wanting to try an olive oil cake recipe and this one has other flavors in it that I like.